HP's Mobile Workstation notebooks are beasts worthy of the professionals that they target. Solid build quality, plenty of features and fast performance are the hallmarks of these machines, but they also carry a hefty price tag. 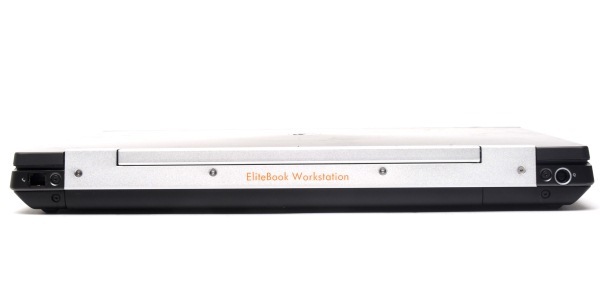 The EliteBook 8560w Mobile Workstation, with its 15.6in screen, Intel Core i7-2820QM CPU, 8GB of RAM and NVIDIA Quadro graphics adapter is just shy of $5000. But as the saying goes, you've got to spend money to make money, and if you spend your money on a machine like this, chances are that the jobs you work on make you more than enough so that the EliteBook pays for itself sooner rather than later. The EliteBook 8560w is the type of notebook that would suit anyone who works with computer aided design, engineering and animation programs. It's got a ton of power under its well built hood and the most important aspect of it is that it's mobile. You can use the same powerful computer at home, in the office and even out on a job site. It weighs 3.45kg and is approximately 40mm thick, 380mm wide and 255mm deep. It's also very solidly built and it has a battery that lasted 2hr 35min in our rundown test, in which we disable power management, enable Wi-Fi, maximise screen brightness and loop an Xvid-encoded video. This battery life is very good for a notebook that's so big and so powerful, and it's due to its large, 8-cell, 75 Watt-hour battery. The battery will last a little longer if you tone down the brightness and just use the notebook to take notes or undertake research on the Web. It may be a thick unit, but it packs a lot of power and features in its sturdy chassis. In our performance benchmarks, the EliteBook proved its worth. It recorded a time of 20sec in the Blender 3D rendering test, 46sec in the iTunes MP3 encoding test and 39min in the DVD-to-Xvid conversion test. All these tests show that there is nothing wrong with the CPU and overall configuration of this unit. They are expected results. The 750GB, 7200rpm hard drive (a Seagate ST9750420as) proved to be very zippy; it recorded a massive 78.51 megabytes per second in our transfer tests, in which we copy data from one area of the drive to another. Even in 3DMark06, its score of 11648 indicates plenty of power for 3D accelerated applications. The NVIDIA Quadro 2000 isn't designed for gaming though; instead it's a mid-range workstation card with 2GB of dedicated RAM that's optmised to run workloads in AutoCAD and other design programs. The screen on the EliteBook 8560w is a 15.6in LED-backlit panel with a native resolution of 1920x1080. As far as notebook screens are concerned, it's excellent. It produced vibrant colour and contrast, fine details were clearly displayed and its viewing vertical angles were not too fussy. Its brightness can be regulated by the installed ambient light sensor. Best of all, it has a matte finish. We found it to be a pleasure to work with when editing photos and viewing videos. The screen can tilt all the way back and it has metal hinges that hold it at pretty much any angle you desire. A very hard, metal lid protects the screen from the outside and it has a circular pattern (similar to what can be found on the ASUS Zenbook, for example) that looks very classy. Bending this lid as much as we could, the screen didn't even puddle. This rugged construction is a theme throughout the EliteBook's chassis, which feels as strong as a tank. It's definitely one of the best built laptops on the market, but for the price you're paying, you'd want it to be. It's also put together with great attention to detail; the components in base are, at least. 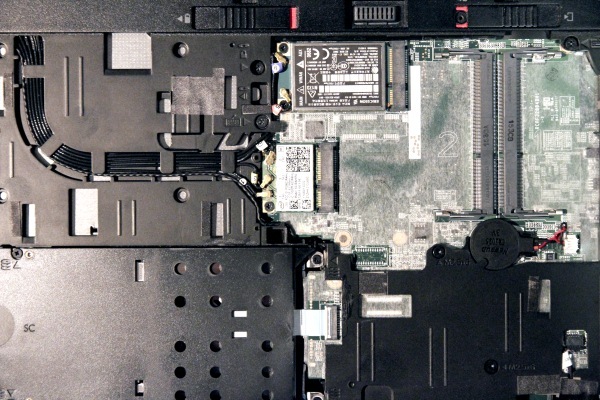 The tool-less panel can be popped off to expose some of the inner workings of the EliteBook, including two free RAM slots (it can accommodate up to 32GB of RAM via four slots) and very carefully laid out antenna wires for the communications modules. However, we did have a problem with the keyboard when we first started using the EliteBook 8560w. The space bar would not produce a space no matter how much we pleaded with it. It looked and felt like it was busted — and unfortunately, it's not the first time we've had HP machines with dodgy keyboards. Upon taking off the space bar, we noticed that a tiny piece of the ribbon cable, presumably connecting the keyboard to its circuit board, was protruding through a hole near the space bar and not allowing the right side of the bar to travel enough when hit. For lack of a more elegant solution, we used a thin flat head screwdriver to tuck this cable back under the board. The space bar still wasn't perfect after this; it still didn't always work and we found that we had to press it harder than usual. We hope that we just ended up with a dodgy unit and that other units out there don't suffer from this same problem. The other keys on the board were a delight to hit. They felt very soft and possessed just the right amount of travel. Their backlighting made typing in the dark a cinch as well as providing some very nice overall aesthetics. The lighting on this notebook is very classy, not only when it comes to the keyboard, but also the status lights. Instead of harsh, blue LEDs that can be found on mainstream notebooks, the EliteBook uses tiny white LEDs that give the notebook a rightful premium look. Most importantly, the white lights are not annoying. We like the Synaptics touchpad, which is 109x50mm in size and very smooth and responsive. If you don't want to use the touchpad, you can take control of the Synatpics TouchStyk, which is similar to the TrackPoint that can be found on Lenovo ThinkPad notebooks, but with a much worse name. If you don't want to use either of these while working on your design programs, then you can just plug in external peripherals — there are plenty of ports for you to choose from. The EliteBook has five USB ports along its edges, and two of these are USB 3.0-capable. You also get a mini-FireWire port, eSATA (shared with a USB port), VGA, Gigabit Ethernet, an ExpressCard/54 slot and DisplayPort. There is no HDMI port, which is more of a consumer feature. The DisplayPort allows monitors with resolutions far greater than Full HD to be run with ease. Other features of the EliteBook include a built-in DVD writer (BD-RE BT10N), a dial-up modem, an SD card slot and a docking station slot. Wireless connectivity is handled by the Intel Centrino Ultimate-N 6300 802.11n, dual-band Wi-Fi adapter. There is also a built-in mobile broadband module (HP hs2340 HSPA+) and a SIM card slot is located in the battery compartment. It also comes with a Bluetooth module. For security, you a cable lock facility, a fingerprint reader, a Smartcard reader and TPM 1.2. Intel Active Management is also supported. As you can see, it's a packed notebook and one that should appeal to demanding users who require lots of processing power both in the office and while out on a job. It's a well built machine that feels sturdy and it has a wide array of useful features. We had a problem with the space bar on our test model, but we're hoping that's an anomaly. If we had the money and did the type of work that required a lot of mobile power, we'd definitely consider this notebook.